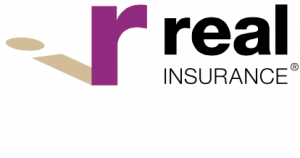 It can be hard trying to find the best insurance for your dog as pet insurance is still a young and growing industry in Australia. The best dog insurance for your pet will depend on what conditions the insurance covers and what conditions your pet may be exposed to during its lifetime. To help you research and review dog insurance for your pet we have compared common illness and diseases for the some of the most popular dog breeds in Australia. Please note this list is not comprehensive and does not cover every disease or illness that could impact a particular breed. Be sure to compare pet insurance for an idea of how coverage leading providers may provide for particular conditions. The table below should be used as a guide only and a way to make sure any particular insurance you may purchase will cover your dog for any illness or diseases it may be susceptible to. There is little point taking out dog insurance if it will not cover your pet for a common disease or illness it may be exposed to during its lifetime. You need to speak to a Veterinarian about your particular breed of dog to get a comprehensive overview of possible future health conditions before purchasing insurance for your dog. As each pet insurance policy is different you need to check the fine print as there is no guarantee any illness or disease below will be covered in every policy. It is also important to note if your dog has a pre-existing condition it will not be covered for any future veterinary costs related to the pre-existing condition. Another interesting fact is cross-breeds usually have cheaper insurance than pure breeds as cross breeding can help reduce an illness specific to a breed of dog. Labrador Retriever. 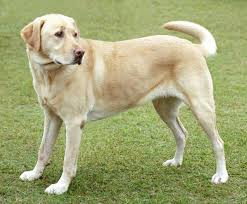 Labrador Retriever is a unique breed of gun dog found in the US, UK, Australia, New Zealand and Canada. The dogs under this breed are known to be very playful with the elderly and the kids. They are often trained to help autistic individuals and even the blind. They are also used as assistance dogs and therapy dogs. They are equally used for detection tasks by the police and other law enforcement agencies. Labrador Retriever is indeed one of the healthiest breeds with very few health challenges. The dogs have a life span that reaches up to 12 years. • Obesity as a result of excess eating. Most of the health conditions outlined above can be handled by expert veterinary doctors. Nevertheless, Labrador Retriever remains one of the healthiest dog breeds out there. The dogs are often very friendly anywhere they are seen. German Shepherd. 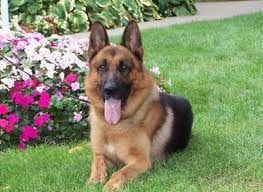 German Shepherd is a well known large-sized dog breed with its origin in Germany. The breed is also referred to as “Alsatian” in the UK. German Shepherds are originally meant for herding sheep. They are known to be very obedient, intelligent and energetic. In the recent times, the dogs are used for rescue missions, detections and other search-related tasks by the military, police and other law enforcement agencies. • German Shepherds often suffer from elbow and hip dysplasia which lead to arthritis and other painful conditions as they grow older. • Majority of the dogs also suffer from ear problems. This is mainly as a result of their large ears. Aside from the few health challenges outlined above, the German Shepherd is still one of the healthiest breeds of dog out there. The dogs are known for having a very long life span. Staffordshire Bull Terrier “Staffy”. Staffordshire Bull Terrier is a medium-sized dog breed also referred to as “Stafford” or “Staffie”. It’s also a popular English dog breed with short coat. The Staffie Bull Terriers are known to be very muscular in nature and yet loyal. • Staffordshire Bull Terriers often suffer from cataracts which they usually inherit. 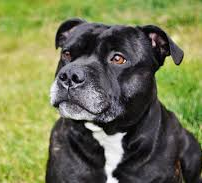 Despite the above health conditions, Staffordshire Bull Terrier is still a very strong and healthy dog breed with a lifespan of about 12 years. The muscular nature and other physical features of the dogs differentiate them from other popular breeds. Cavalier King Charles Spaniel. Cavalier King Charles Spaniel is a popular breed of small dog. The dogs under this breed are known for having very smooth and silly coat. They are known to be very lovely and friendly. They are very playful to kids and other pets. They often require lots of human interaction anywhere they are seen. 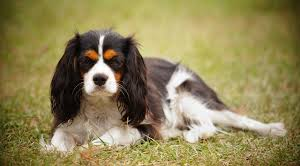 • Cavalier King Charles Spaniels often suffer from mitral valve disease which usually leads to heart attack or heart failure. The condition also leads to untimely death. • The dogs also suffer from spinal cord problems. Majority of the diseases are often inherited. The illnesses can be controlled or even cured by expert vet doctors. Nevertheless, the Cavalier King Charles Spaniels remain very affectionate dogs that can be kept at home with children. Golden Retriever. Golden Retriever is a popular large-sized dog breed found in the US, UK and Australia. Golden Retrievers are very easy to breed and train. They are often very obedient, intelligent and lovely. They do have inner and outer coats which keep them warm and protected. The dogs are often very good when they are kept at homes although they like moving outdoors. They have very gentle and friendly temperaments. They are often used for detection tasks, rescue missions, and search operations by law enforcement agents. • Cancer such as mast cell tumor, osteosarcoma and lymphosarcoma. • Eye diseases such as cataracts, glaucoma, retina dysplasia, progressive retina dysplasia and retinal atrophy. 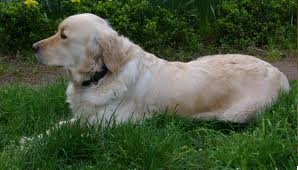 In all, Golden Retriever still remains a nice breed of dog despite the health challenges outline above. Most of the dogs still survive the conditions when they are properly treated. Border Collie. Border Collie is a well known breed of dog originally meant for herding sheep and livestock. The dogs are known to be very intelligent, smart, acrobatic and energetic. They often do well in dog sports. They also communicate better with human beings. The Border Collie dog breed originated from the Anglo-Scottish border. They are known for their awesome energy. 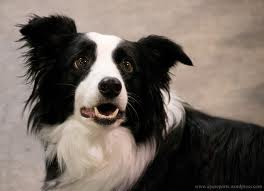 • Border Collies often suffer from Elbow and hip dysplasia just like many other breeds. • They do have a specific eye problem know as “Collie Eye Anomaly”. They also suffer other eye diseases such as juvenile cataracts and glaucoma. • They suffer epilepsy from time to time. • The dogs encounter regular hearing problem especially as they become older. • They suffer from Trapped Neutrophil Syndrome which is a hereditary illness that affects their bone marrow. The health conditions outlined above are controllable. Aside from the diseases, the Border Collie remains a quality dog breed to go for. Pug. The dogs are known for having curled tails and wrinkled faces. They appear in a blend of colours with glossy and beautiful coats. The Pug breed was developed in the ancient China. Later on, the breed came to Europe and became very popular especially in the Western Europe. • Pugs regularly suffer from eye injuries such as, eye prolapse, painful entropion and scratched corneas. • They are prone to obesity. • They are susceptible to demodectic mange; a condition caused by parasitic mites. • The dogs suffer from brain inflammation, encephalitis and other ugly health conditions. 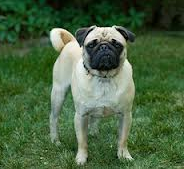 In any case, the Pug breed is still very unique despite the health challenges. In most cases, the dogs survive the health problems when they are regularly treated and cared for. A Pug cross breed a can also be worth looking at as they can retain a pug like appearance whilst reducing health problems specific to the pure breed Pug. English Cocker Spaniel. The dogs are often very active and energetic. They are used for sporting activities and field works. They are known to be very loyal companions and have a lifespan of 11 to 12 years. • English Cocker Spaniels are prone to cancer and cardiac illnesses. Both conditions are the commonest causes of deaths among the dogs. 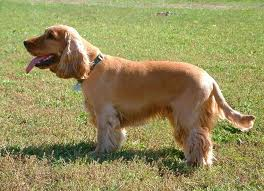 • The Spaniels suffer from skin allergies and bite problems. • They suffer deafness and cataracts. • They also suffer from patellar lunation, heart murmurs, canine arthritis around the hip, knee dislocation, congestive heart failure and other similar conditions. Despite the seemingly health challenges, the English Cocker Spaniel is still a quality dog breed to go for. Majority of the diseases outlined above can be properly controlled and handled by expert vet doctors. Dalmatian. Dalmatian is a popular Croatian dog and known for the black spots on their coats. The dogs are usually used for rescue missions, athletics and other sporting activities. They make wonderful companions but like many other large dogs need to be exercised regularly. • They are prone to allergies. • They often suffer from deafness as they grow old. • They suffer urinary stone and hip dysplasia. • They also suffer from autoimmune thyroiditis, arthritic conditions, and bone spurs. Despite the few diseases outlined above, the Dalmatian breed is known to be one of the healthiest in the dog family. The dogs enjoy longevity and sound health when they are properly taken care of. Rottweiler. Rottweiler is a popular German domestic breed and can vary from medium to larger sizes. They are regularly used as police dogs and guard dogs. They are specifically known for their awesome energy and robust physique. They serve as wonderful companions with great strength and intelligence. • The dogs suffer from hip dysplasia as many other breeds. • They are prone to cancer which often leads to their untimely deaths. • They are more susceptible to parvovirus; a deadly illness that affects the puppies and younger dogs. • They are also prone to obesity which leads to arthritis, diabetes, reproductive illnesses, heart failure and skin diseases. 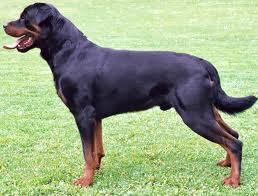 Despite the health conditions outlined above, Rottweilers remain very strong dogs that can be used for multiple purposes. Their lifespan ranges from 9 to 10 years. Majority of their health conditions are curable and controllable.